The latest issue of Collaborative Librarianship is out along with my Technology Matters column entitled "The Golden Ratio and Community." 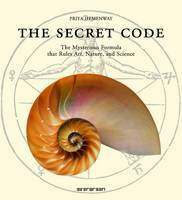 "I recently read The Secret Code: The Mysterious Formula that Rules Art, Nature, and Science by Priya Hemenway. It is a book about the Divine Proportion or the Golden Ratio. The Golden Ra-tio is roughly five to eight (more precisely the square root of five). It turns up in nature in nu-merous ways and you see these proportions over and over again in art and architecture be-cause it resonates with us in some mystical way. "Innovation & Leadership Through Collaboration – The Orbis Cascade Alliance Experience: An Interview with John Helmer"